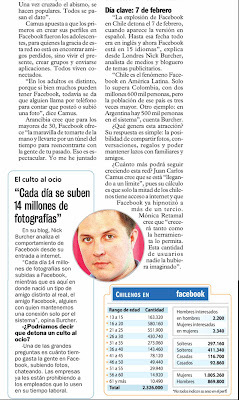 Facebook has seen significant growth in Chile this year and Chilean newspaper Las Ultimas Noticias covered the story extensively today. The Facebook article featured some of my comments and my photo was also included on page 3! 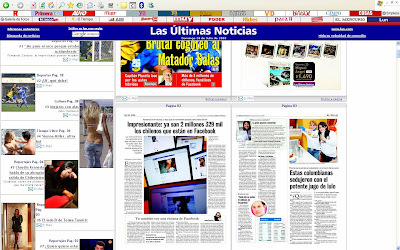 Facebook is being translated into non-English language versions and Spanish was the first non-English language - launching on 7th February this year. 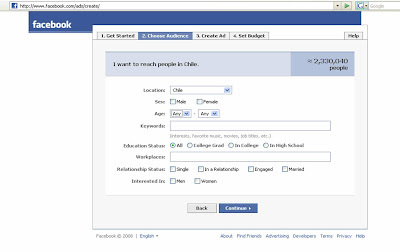 Growth of Facebook usage in Chile coincides with the launch of the Spanish language version and Google Site Trends shows how Facebook usage has grown. The launch of Facebook in Spanish can therefore be directly correlated to the increase in Facebook usage in both Chile and Colombia (with both countries now appearing in the top 10 countries by Facebook usage). A bit strange that Facebook in Argentina has not quite followed the same pattern or delivered the same user numbers, but as Facebook expands to over 70 languages I have no doubt that global user numbers will continue to grow!